Whether or not you need emergency lock change in Chestermere, Alberta, our locksmith company is at your service. We are in this business to address key & lock problems in an effective and timely manner. When customers need our help, we go all out to make sure they get the solutions they need to feel safe and secure again. A locksmith will change locks urgently if they are broken, vandalized, or simply won’t lock. But a pro will show the same zeal when you need to install and replace locks too. Bring your needs to Locksmith Chestermere and see them addressed in a speedy and professional way. We are at your service for emergency lock rekey, repair, change and any service needed to restore your property’s security. 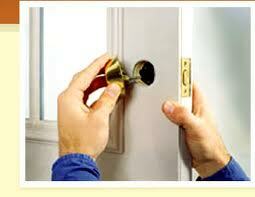 A Chestermere locksmith will be there in no time and fully equipped to do the job required. With years of experience in lock services and fully updated with the latest systems, the pros can handle electric and mechanical locks and all their problems with equal efficiency. Whether you want to replace the damaged cabinet locks or change car locks, we are at your service. Call us for any lock service. Want to increase security with a new high security lock installation? Ask our help. A pro will be at your property to install locks of any brand and type. No matter which lock you choose, it will be installed correctly. Do you want to replace the locks of cabinets or mailboxes? Need internal door lock replacement? Make an appointment with us today for any service. From deadbolt installation to digital systems and access control products, we are at your disposal and ready to send out a pro whenever it’s suitable to your schedule. We can help you increase the security of your property with the installation of exterior and interior door locks. 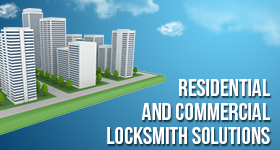 Count on our locksmith company for dependable services. Give us a call if you want Chestermere lock change and any service. We will be happy to help you improve security.